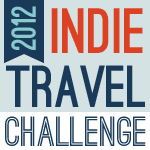 Are you an indie traveler? What do you think makes someone an indie traveler? The concept of ‘indie travel’ is not something I had heard of until I came across this challenge last week but what’s clear to me is that it’s not about where but about how you travel. Let’s face it, for the past few years I’ve barely visited anywhere other than Malta, England and Ireland but I’d like to think that without even knowing they existed, I have followed the above core values wherever I have gone. So am I an indie traveller? Well, insofar as indie travel means travelling independently, with an open mind and on the lookout for experiences and connections which will afford a behind-the-scenes peek into a place/culture – Yes. Based on other responses to this challenge that I have read, some people slip into this mode only when they are on the road, whereas others (and I consider myself one of them) treat it as a mindset to follow on a daily basis. My travelling experience is limited at this point in time so I can only hope that I remain true to this when I am dropped smack bang in the middle of completely unfamiliar territory. Wouldn’t it be a shame to be given the opportunity to fall in love with somewhere new, only to close yourself off to it because of how hard it is to understand it? I love this. I've always approached somewhere new with a similar mindset. I think you have to be completely open to what's around you otherwise so many things pass you by and you don't get the full benefit of your experiences. Does that make me an indie traveller? I would say so! In my opinion the opposite to an indie traveller is someone who has no interest in learning about the culture, trying new things or stepping out of his/her comfort zone even for a moment. These are the people who usually to the exact same things abroad as they would at home – steak and chips and booze.